. . .Holmes and I struck a bargain and became partners. The premise got my attention right away. The son of Sherlock Holmes. I was not familiar with Raffles until I was somewhat introduced in the book. The quandary is there the good and the bad sides of Raffety Holmes. Not a sequel to 'Mrs. Raffles' by the same author, because no mention is made of her in this collection, and it's written in a tone less humorous than the previous collection and closer to the original Raffles stories. Very interesting stories and characters. Humorous and Intriguing plots with inventive "problems" and resolutions. Loved the dichotomy of scammer and detective. 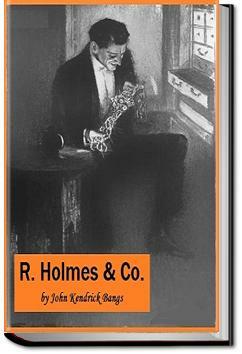 An interesting and somewhat amusing collection of stories about Raffles Holmes, son of Sherlock Holmes. The ebook edition I read would have benefited greatly from a bit of editing, as there were a few occasions I had to backtrack over what I'd read to make sense of a sentence.